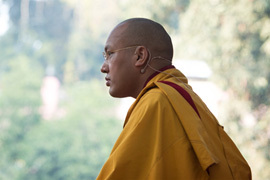 Following the discovery of the Seventeenth Gyalwa Karmapa, the Karma Lekshey Ling School in Katmandu, Nepal, published a beautiful booklet titled His Holiness the XVII Gyalwang Karmapa. 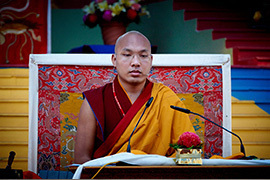 It includes many beautiful pictures of His Holiness and lineage holders, along with photos of some of the most important historic documents such as the Buktham Rinpoche, His Holiness Dalai Lama's official confirmation of the identity of His Holiness Karmapa. 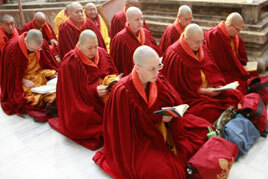 Text from this booklet explains that "from 1981 to 1992, His Holiness the Dalai Lama has been constantly informed by high incarnate lamas of the Kamtsang [Kagyu] lineage about the developments relating to the discovery of the XVII Gyalwang Karmapa. 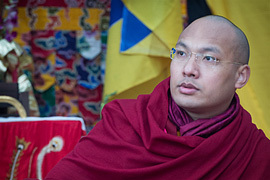 All the leaders of the major schools of Tibetan Buddhism and masters of the non-sectarian teachings were requested to pray for the swift incarnation and discovery of the XVII Karmapa. 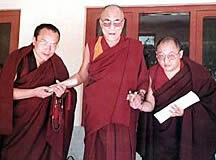 "On June 9, 1992, Situ Rinpoche and Gyaltsap Rinpoche informed His Holiness the Dalai Lama about the details of the search for and discovery of the XVII Gyalwang Karmapa. 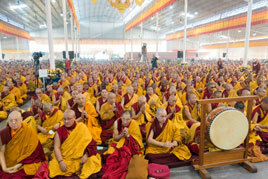 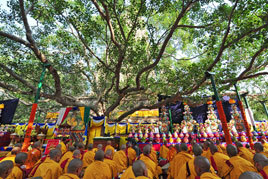 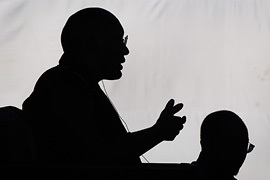 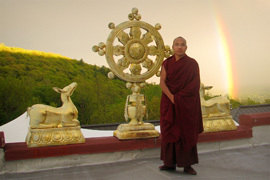 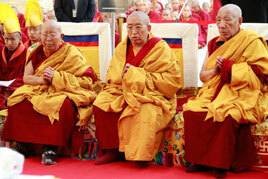 On the basis of his flawless wisdom, His Holiness the Dalai Lama gave his approval to the reincarnation. 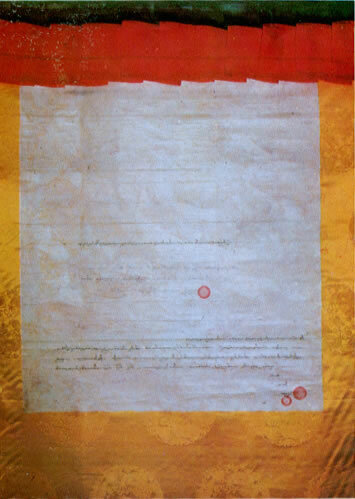 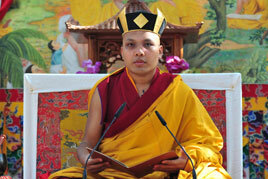 On June 30, 1992, he granted the official letter with his seal of confirmation, the Buktham Rinpoche. 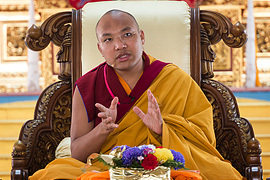 "At the same time, His Holiness also gave advice, which was taped, to all Kagyu followers and also gave a blessing for the long life and activity of the XVII Gyalwang Karmapa. 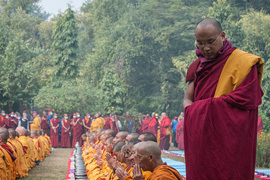 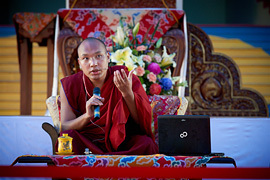 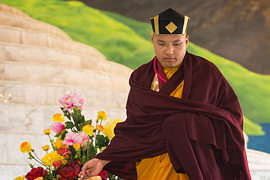 He blessed the two Rinpoches on their journey to Tibet and sent with them a blessed scarf, a blessing cord, a special protection cord, and his personal mala to be presented to the XVII Karmapa. 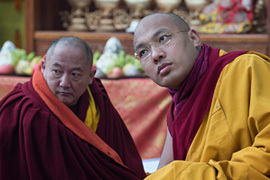 "It is mainly Situ Rinpoche along with Tsurphu Gyaltsap Rinpoche and those closely connected, who are responsible for finding the reincarnation of the XVII Gyalwang Karmapa, and I am very happy about this. 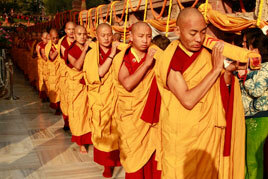 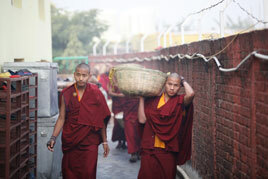 There is a proverb that says where there is great Dharma, there is immense Mara. 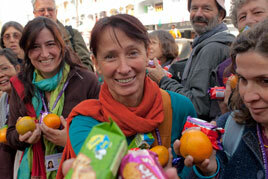 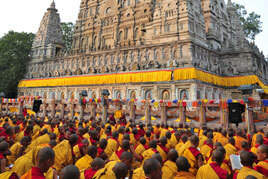 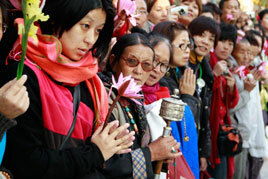 Although there have been some difficult situations, from now on, everyone should maintain firmly their faith and samaya. 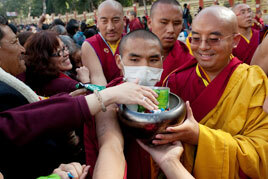 I pray that this precious reincarnation will have a long life and that his activity will flourish. 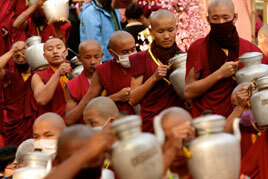 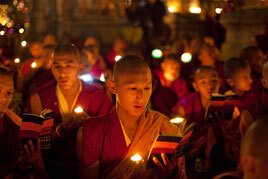 I wish you all Tashi Delek."